About five years ago the days in our homeschool were simply learning math facts, phonics, and letter formation. Yawn. Sure we read a picture book or two, but I had a two-year-old who sapped all the energy I used to have for putting together elaborate unit studies. In addition my kids had informed me in no uncertain terms that they wanted nothing to do with making another lapbook thank.you.very.much. I was a little depressed about the whole deal. I had always wanted my homeschool to be about so much more. So I did what any self-respecting homeschool mom would do. I turned to the internet. After a few months of floundering in differing homeschool styles, I finally hit upon a simple practice that has made a huge difference in our homeschool and eventually our entire lives (starting a podcast about a topic tends to do that). It was Morning Time, and it truly revolutionized our homeschool. In the past five years Morning Time has become a pretty mainstream homeschool practice. More and more families are discovering the delights Morning Time has to offer, but as the popularity grows so do the misunderstandings about it. I’m am on a crusade to get all families to at least try Morning Time, so I am here to vanquish those myths right now. Morning Time has to be done in the morning. False! In fact depending on the ages of your kids it probably shouldn’t be done in the morning. With the biological shift that happens to teens, they will tend to stay up later naturally and need to sleep longer than their younger siblings. So shift your Morning Time to after lunch to accommodate the need for extra sleep. Likewise, if your family is one that doesn’t get up and get moving happily in the morning do not feel compelled to have to rise early to get Morning Time done. Instead start it at almost noon (or later!) and make it work for your family. Got babies or toddlers? Morning Time with older kids might best be done during nap time. The key is to do it when it is best for your family. Negative. You can call it whatever you desire. I’ve heard it called everything from Power Hour, to Circle Time, to Whatchamacallit. Some people give it fancy names like Colloquium or Symposium. I think my favorite thing I have ever heard it called is “The Miracle Hour.” That one describes it perfectly. Actually, let your kids name what they want to call it. They can have fun with the process and it allows them to take ownership of the entire practice. Morning Time means adding more to my day. No so fast. Sure for many Morning Time is about adding truth, goodness, and beauty, but at its heart it is also an efficient practice. Morning Time is about getting things done with as many people as possible at one time. So if you follow a curriculum like My Father’s World, or Ambleside, or Five in a Row, Morning Time is not about doing other things alongside that curriculum, but taking what you can from your plans and plugging them into your Morning Time. Then if you want to add extras you can… or not. There are some long Morning Times out there in blog land. Some moms are spending more than two hours on a rich, wonderful Morning Time for their families. Mine? Most days it is about 45 minutes. On Wednesday when we have to be out the door early to go to math tutoring it is less than 15 minutes — just some time for prayer. Once again, the important thing is to choose what works for you (even on differing days). If that is fifteen minutes, do it. If you build a rich Morning Time that lasts over an hour and it is working for your family then do that. The key is that it is useful and enjoyable. That is all that matters. Morning Time is something only _____ (Christian, Classical, Charlotte Mason) homeschoolers do. Well I know this one isn’t true because our Morning Basket Moms community has homeschoolers of every stripe. Unit study homeschoolers will find that Morning Time is a perfect fit into what they do already. 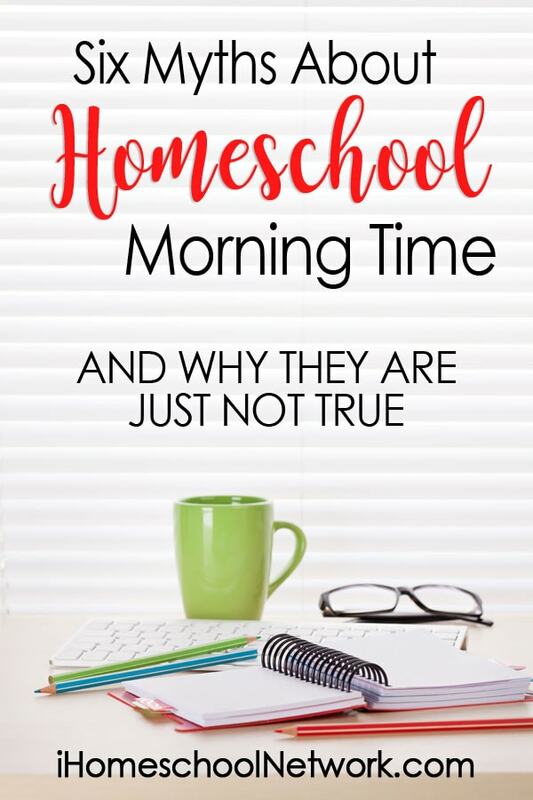 School-at-home homeschoolers will find that Morning Time is a good place to bring the family together for a few subjects that their curricula might have a tendency to skimp on. The flexibility of Morning Time is perhaps one of its greatest assets. It can mean different things to different families and serve different purposes — sometimes even within a single family. The Morning Time you have when your oldest is six, and you have a passel of preschoolers, will not resemble your Morning Time five or ten years later — nor should it. Morning Time has to include certain required subjects. No, Morning Time can include whatever you desire. Many Morning Times typically include some elements of ritual, reading aloud and recitation, but you can have a Morning Time that includes only some of those or even none of them at all. The types of Morning Time subjects are as varied as the families that do Morning Time — some even teach things like grammar and Latin in a whole-family environment, while others tackle fascinating subjects like architecture or astronomy. We have done geography, Shakespeare, and even a daily board game. Add those things that make you happy or help you get things done. So, you are thinking about giving this Morning Time thing a try but are not sure where to start? We can help with our free Month of Morning Time plans. These pre-made and easy to use plans help you get your Morning Time off to a great start. The only “truth” about Morning Time is that you should make it work for your family. Use it to become more efficient. Use it to build relationships between siblings and you and your children. Use it to begin your day with delight or add the subject that you never seem to find time for elsewhere. 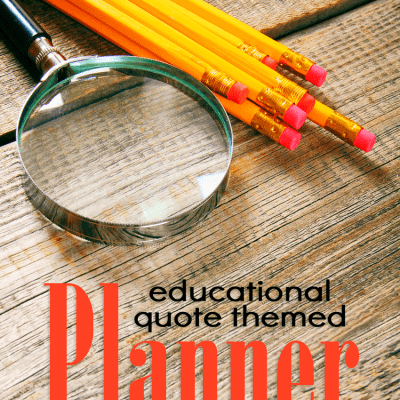 Just use it — it might just change your homeschool for the better. So… What is “morning time”? I missed the explanation.